Coalition holds rally on steps of Legislative Bldg. A Housing 4 All rally was held at the Legislative Building on April 9th organized by the Right to Housing Coalition during the provincial election campaign. The Coalition has set a public policy goal of a minimum 300 net new rent-geared-to income units per year for the next five years. Representatives from the parties were invited to state their commitment to investment in social housing at the rally. 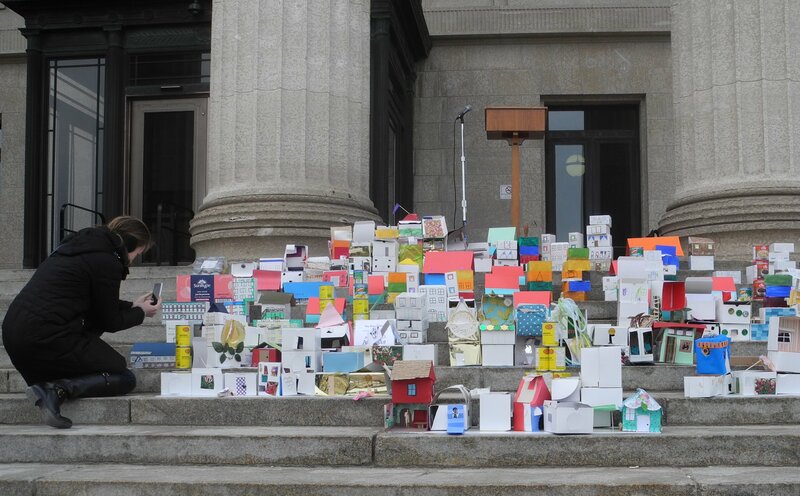 Cardboard houses were displayed on the steps of the Legislative Building to draw attention to the need for more social housing.